Save over 27% + Fast Track! 2000 years of history and all the dark secrets of the world's most famous and most haunted bridge revealed! Creams Café Dessert Parlour on site gives you a choice of 3 delights inclusive with one of our tickets! Please Note: Your ticket offers admission during standard opening hours (no entry to specific shows). Your ticket is only valid on the date you select when booking. Creams Dessert Parlour choice of 3. Choose either a Waffle, Sundae or Crepe. Don’t Miss: All kinds of thrilling, chilling surprises! Get ready to scream, laugh and cheer your way through 2000 years of horrible history on this fun adventure through time, filled with the horrors of yesteryear! 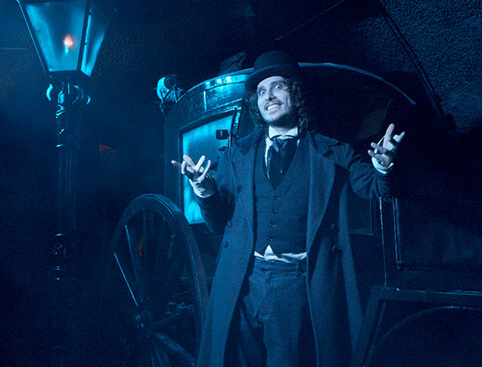 See, hear, feel, taste, even smell, what London Bridge was like over the ages, and uncover the dark secrets that lie beneath the world's most famous and most haunted bridge. 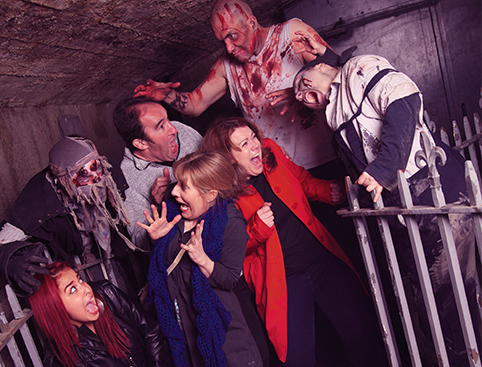 Battle with the Romans, discover what happened to traitors with the gruesome “Hang Draw and Quarter” process, see the Great Fire of London and much more before entering the vortex to the London Tombs. Encounter live characters in full regalia of the time as you traverse wooden, stone and medieval bridges. 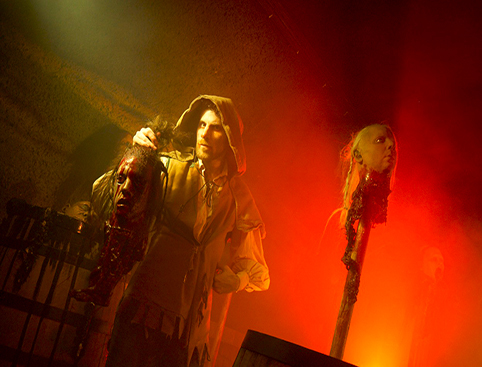 Join in the fun while discovering London's gruesome history – and expect a few grisly surprises thrown in along the way! Continue your adventure with caution as you cross the cavernous infinity floor in the perilous thick fog as Viking King Olaf pulls London Bridge down in 1012. Watch your step on the rickety wooden bridge; it's a long way down! Managed to survive this far? Then try out some hanging, drawing and quartering as you discover the grisly fate of the traitor, William Wallace, in the company of an expert executioner! Experience medieval life first-hand on the streets of the old London Bridge. Learn some of the local trades and then run for your life as the Great Fire of London sweeps through the city! Your journey ends in the stomach-churning Hell's Portal and emerge back in the present day. Your ticket will only be valid for visits on the date you select when booking. The London Bridge Experience is located at 2-4 Tooley St, London Bridge, London. The minimum recommended age is 16yrs. Entry for under-16s is at the discretion of the parent/guardian. Children under 16 must be accompanied by a supervising adult. 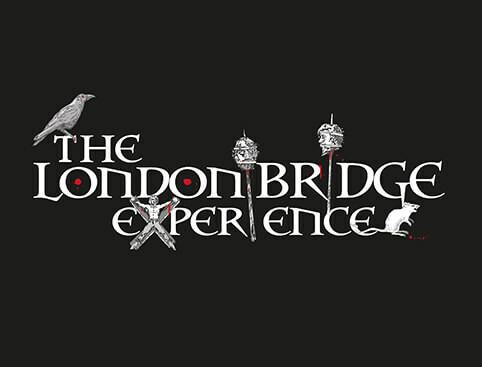 The London Bridge Experience is open daily. Always check with the venue as opening times may vary. 100 metres from London Bridge Station: Rail & London Underground (Northern & Jubilee lines). 400 metres from Monument/Bank Station: Docklands Light Railway, London Underground (District, Circle, Central & Northern Lines). The London Bridge Experience Tickets is rated 4.3 out of 5 by 42. Rated 5 out of 5 by Davey from Fun day out Myself and my partner had a fun time at this venue along with some frights. Would recommend. Rated 4 out of 5 by ruralbuddha1984 from Great day out! I took my 14yr old daughter to the London Bridge Experience to try something different. It was amazing, the actors were fab! The Tombs bit afterwards... noooo! Scared the heck out oof me, especially as I was at the back. It was great! My only reason for giving 4 stars is I paid £1 extra each ticket for priority tickets, but there was no difference with regards to queues-you were all in the same line. So bit of a swizz.. don't bother paying for extra! Rated 4 out of 5 by Jiggap from Lives up to its reputation Really good experience if you like a fright We went for the last show I suspect a lot of the zombies had gone home Aim for a early show if possible! Rated 5 out of 5 by ToddW from Deliciously Scary Went as a family. Had a great time. Definitely not for the faint hearted as it is very scary - ask my wife lol! Attraction Tix delivered tickets immediately and much cheaper.